Though I gave the Administrator, Elena some trouble by getting completely confused over Sterling and Euros for the entrance fees, she couldn’t have been more helpful. 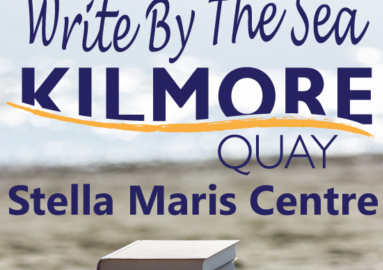 None of mine won but I really enjoyed the challenge of getting the stories ready and I particularly relished taking the opportunity to write one partly in Ulster Scots: ‘Coasteering’. One of my stories, ‘All Through The Night’, set in west Wales, is to be published by Crannog magazine in October. I had already submitted it to this great magazine. ‘Safety First’ is, like all the stories, on the competition theme of COASTLINES. Congratulations to Fiction winner, Helena Farrell, whose story, ‘A Coat of Grief’ will be broadcast on RTÉ Radio in due course. The Festival is on 28 – 30th September and should be a very jolly weekend!